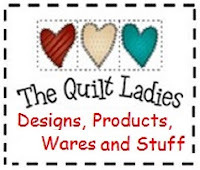 The Quilt Ladies: Little Quilt Pattern Block for YOU ! Finished Block Size 2 1/2" x 2 1/2"
Cut 2 Dark Green - 1 3/4" x 1 3/4"
Cut 2 Background - 1 3/4" x 1 3/4"
Cut 2 Burgundy - 1" x 1 "
Cut 2 Background - 1" x 1"
Cut 4 Dark Green - 1 1/2" x 1"
Cut 2 Background - 1 1/2 x 3/4"
Sew into rows and rows into block, trim seam allowance to 1/16"
So sweet - I must still have the holidays on the brain - this would make such a nice ornament! Thanks so much for linking up to Awesome Life Friday! We'll be pinning this - we're looking forward to seeing what you have to share this week!